The Blackpool Seagulls Under 16 game against Grimsby scheduled for this Sunday has been postponed following a dispute with the owners of their Fylde Coast Ice Arena base. Efforts to find an alternative venue have not been successful and the game will now have to be re-arranged for a later date. 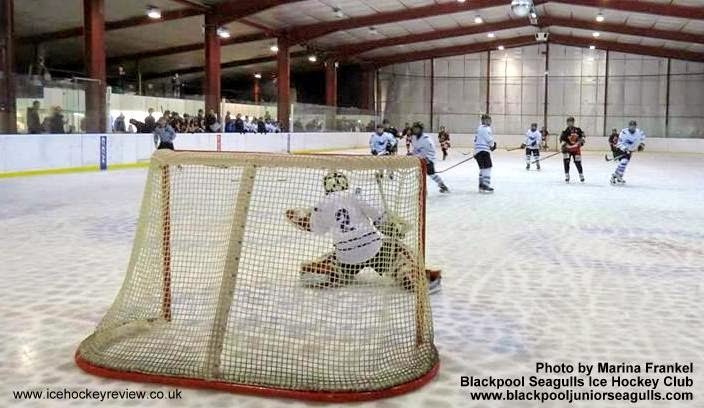 The Blackpool Seagulls Junior teams are now training at the Cleveleys Ice Arena which has just reopened after being taken over by a group of parents and volunteers who plan to run it as a Community Interest Company. The Seagulls’ next Under 16 home game is scheduled for 28th March against Sutton in Ashfield Under 16s and it hoped that the venue issue can resolved in time for that.